We cranked up the MileSplit database to rank the top boys distance runners during the 2018 track and field season. This list combines 1600 and 3200 times and, to little surprise, the top two on the list were both State Meet champions. Liam Anderson, a junior from Redwood (NC) won the 1600-meter title at the State Meet final on June 2 and ranks No. 1 out of 413 distance runners with times in both the 1600 and 3200 from the 2018 spring season. 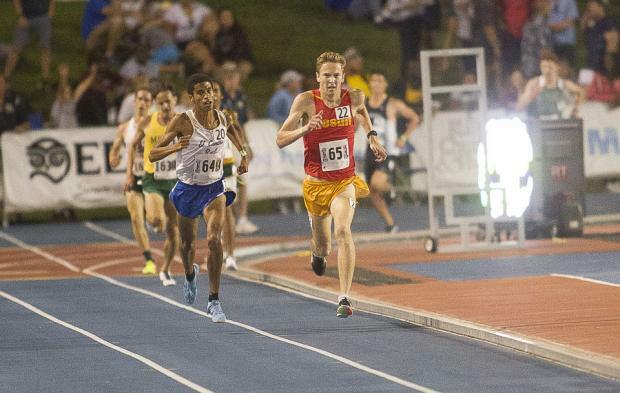 Right behind Anderson is Jesuit (SJ) sophomore Matt Strangio, the State Meet champion at 3200 meters. Note that 3200 runner-up Justin Hazell, a senior from El Camino Real (LA), ranks 6th here while 1600 runner-up Jaden Rosenthal, a senior from High Tech (SD), is 47th in combined distance times. We asked the database to pull up the top 500 runners with times in both the 1600 and 3200 meters and then asked the system to combine the times. The initial list was ranked by 1600 times. Anyone in the top 500 with a 1600 time but without a 3200 time was eliminated, leaving 413 for this list.